Call your participating WineStyles to RSVP, limited seating available! 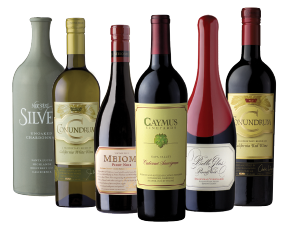 Please join us to taste amazing wines from Caymus Vineyards, Napa Valley California. The Wagners produced their first vintage in 1972, consisting of 240 cases of Cabernet Sauvignon. 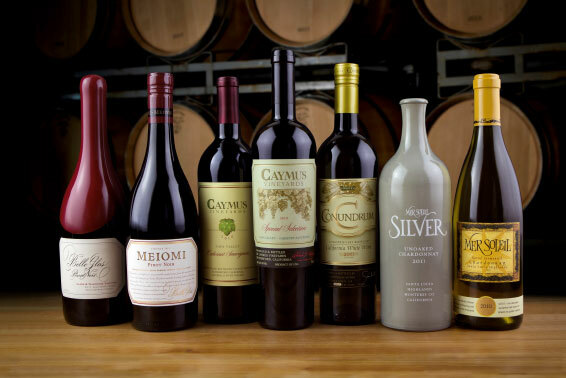 Since then, Caymus has focused their efforts in the production of quality Cabernet Sauvignon. Today’s production is 65,000 cases and still family owned. In 1971 Charles F. (Charlie) Wagner and his wife Lorna Belle Glos Wagner asked their son Charles J. (Chuck) Wagner, who had just graduated from high school, if he would be interested in joining them in starting up a winery. If Chuck declined the offer, Charlie and Lorna were planning to sell out of their ranch in Napa Valley and move to Australia. Chuck accepted his parents’ offer to launch the winery, Caymus Vineyards. The Wagners took the name Caymus from the Mexican land grant known as Rancho Caymus, given to George Yount in 1836, which encompassed what eventually became the town of Rutherford and much of the surrounding area. Caymus Vineyards remains 100% family-owned by the Wagners. Charlie, Lorna Belle, and Chuck worked together as a remarkable team for over 30 years building Caymus Cabernet. Today, Chuck, his two sons, Charlie and Joe, and one daughter, Jenny, have joined the family team. Farming grapes remain the priority with the family, farming about 350 acres of choice Napa Valley land. Our national tasting event in November will sell out fast! Contact your participating WineStyles for local details and reservations! This entry was posted in Winery Spotlight Tastings and tagged caymus, caymus vineyard, local wine event, napa valley, tasting, wagner wines, wine, wine tasting, winestyles. Bookmark the permalink. Hi Dawn, please reach out to your local WineStyles store for the specific date and time. Most stores are hosting the event mid-November, cheers!